Baldur, or Balder is the second son of Odin and Freya and is the brother of blind Hodur. The most beautiful of all the sons of Odin All-Father was Baldur the Beautiful. He was the god of light. When the first war between Aesir and vanir gods broke, his mother Freya was very scared because he used to show mercy immediately wherever the killing was easier. His wife's name was Nanna and they have a son named Forseti. He has the largest and the most beautiful ship named Ringhorn. This was the ship in which his dead body was flown in the sea. Apart from Baldur’s beautiful appearance and a certain fondness for chamomile when he couldn’t sleep, we know very little about this ancient Nordic God. Although Baldur knew he was loved by everyone, at night he tossed and turned, dreaming that he was about to be killed. Nothing could cure him of these nightmares. 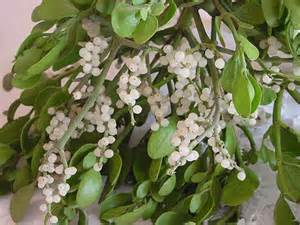 Loki found out that Freya had not extracted an oath from Mistletoe (see picture below), thinking it was too young and feeble to harm her son. So Loki ran off and made a dart out of Mistletoe, then gave it to Baldur’s brother Hodur, who was blind. The unsuspecting Hodur accepted Loki’s offer, threw the dart and it struck Baldur in the heart. And that was the end of Baldur - the death of Baldur the Beautiful. All Devtaa cried at the death of Baldur. Odin sent Harmod to Hela, the goddess of Death to give life to Baldur, but Hela said - "I can give him life but everybody including all living and dead have to cry for him." But by then Loki had become a witch Thokk (or some say a giantess) and he did not cry for him, so Hela did not revive him. After Devtaa wrapped him in a crimson cloth, kept his body on his ship Ringhorn and pushed into the sea.